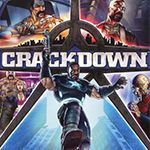 Another potential candidate in the long line of "GTA clones" comes in the form of this new Xbox 360 exclusive title, Crackdown. 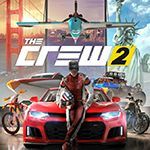 Set in a futuristic city, the free forming structure bares more than a resemblance to the famous GTA series, but uniquely you can actually develop superhuman abilities, resulting in feats such as throwing cars and jumping at implausible heights. Seems to be a promising title, and the partly cell-shaded graphics make for a suitable diversion of the genre. And theres a GM PD-4501 Scenicruiser bus. The Russian gang has two unlisted cars...a 1957 Chevrolet Bel Air and a Datsun 510 coupe. I think they're both supposed to be Russian cars, but those are the two they're obviously modeled on. Nice CA_NES you great ! You have Crackdown 2 ? Takumi wrote You have Crackdown 2 ? This is a really good game. The city is belivable and real and the combat is good and the leveling up and super powers system is great. You can spend hours just viewing the city or chucking cars at people. I play this alot and is probally one of my favourite games of all time. Reverse two ramp trucks into the back of each other if you like looking at skyboxes. Downloaded this game yesterday (if you have a Gold membership on XBL, you can get the game for free until the 15th), and I'm finding it to be a lot of fun. I have noticed one thing, though. Since cars found on billboards are now being accepted here, there are two cars advertised on billboards in the game that aren't listed. The Dodge Caliber and Dodge Nitro. If I was able to get a shot of them, I would. But, I can't. Maybe someone else that has the game could get pics of them? Where's the awesome Genesis game of the same name? It's official, there's a new Crackdown coming. Can't wait. I'm currently doing this page and cleaning some of the old photos with nice, new and cropped photos. As of now, there's two vehicles missing - A Bentley Continental GT-resembling coupe and a Shai-Gen truck (not the six-wheel version already listed). By the way, I'll list each gang car with the parentheses. Additionally, I'll do a guide to cars and how they perform in games. I'll also be creative in descriptions, too! As I'm new, I'll need help in replacing some old shots, as well as getting new ones ready like the Bentley coupe. I'll also do retrospect reviews, because I'd like to look back at what the game itself had to offer. Are you doing Xbox one X enhanced shots? solarriors wrote Are you doing Xbox one X enhanced shots? Nope. It's on an Xbox One S in 4K. So it's not in 4K. I guess. Besides I have a 4K TV. I don't mind that though, since it has SOME capability. And yep, X1 has the ability to make captures. You can do the same for back-compatible games. My job is to have nicer shots on old games like this one. I know the rules say that wrecked cars aren't allowed, and I understand. The output you have on the screen is not the rendered frame on the buffer. It gets upscaled. Regarding damage I never mentioned anything about it. I don't know how did you come to talk about that. I don't know. I'm not that great at hardware specs. As for the damage, Rule 3B states that visual damage or modified vehicles are not permitted. You can find the IGCD rules in the homepage. And another thing - what about surnames? I don't know if they have an ingame name or not. After all, they're not licensed cars. 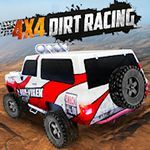 Also the three Agency vehicles (the Supercar, the SUV, and the Truck, which is not listed yet) should only be shown in default form. Your pics don't work for some reason. Also, the game's still free until tomorrow because of the X018 event. Crackdown 3 also has a solid release date: February 2019. Solarriors, can you upload the Agency Truck? Also don't any of the vehicles have a surname or is that DLC or something? Here's some food for thought. The three islands of Pacific City have their own unique gang. The center of it all is the Agency HQ. The first island (La Mugre or The Dirt) is a Central American cartel known as the "Los Muertos", or "The Dead". Second island (The Den) is a Russian gang, the Volk (Russian for wolf). Third island (The Corridor) is run by the Shai-Gen Corporation, a band of Chinese extremists and assassins hellbent on experiments and freaks, as well as a few outsiders. The first island only has the Los Muertos vehicles as well as the only appearance of the Isuzu delivery van. The second island has military grade vehicles as well as an APC. Third island is a mix of purple colored vehicles. They have a semi, limo and pickup truck (which I listed earlier).